With this background said and done the criteria I choose to assign to “What the Crow Said”, and for me which makes it a postmodern novel, is that as laid out by G Graft. 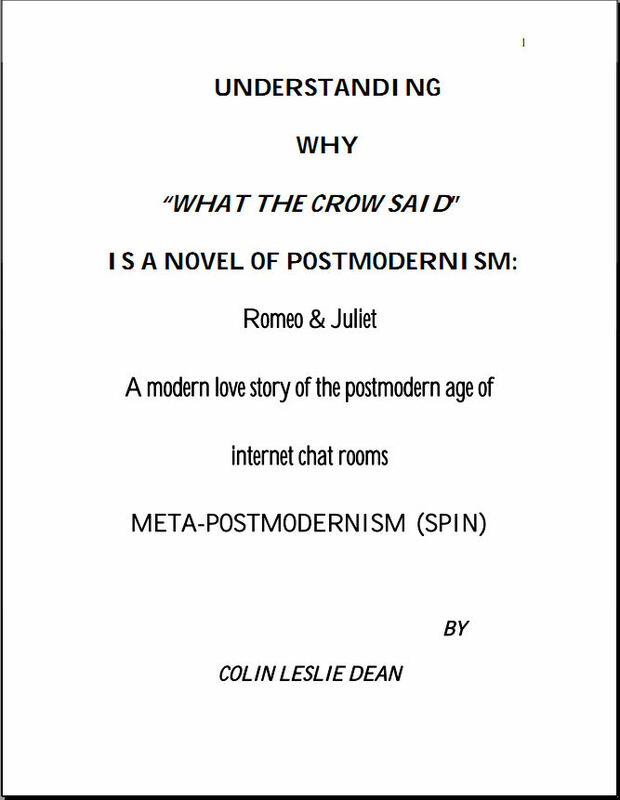 Along side Grafts criteria I also ascribe pastiche and the language of popular culture as codes or styles that make “What the Crow said” a postmodern novel. For convenience of explication, and because I feel it more cogent [which will become more apparent below], the anti-rational, anti-realism, as noted by Graft, I choose to call surrealism, as distinct from than the neologism of magical realism. This essay will show that “What the Crow said” is a postmodern novel because it is a pastiche of surrealist techniques and techniques borrowed from the oral tradition of popular culture through the use of popular, or colloquial language.